Many human adaptations follow the same patterns as other mammals around the world, especially those that are determined by thermoregu-latory rules. There are general mammalian-wide relationships between a body's surface area and volume (SA/V) that are controlled by climate. 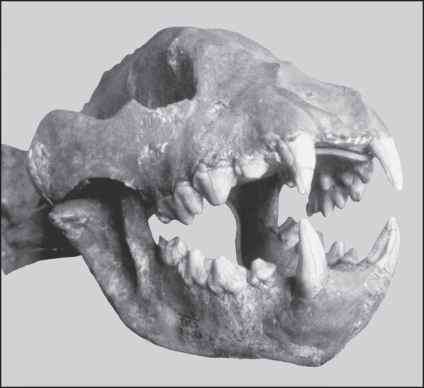 Bergman's Rule states that mammals in colder climates tend to have larger bodies than animals in warmer ones. A larger body size decreases the SA/V ratio and thus reduces heat loss. Based on a similar need for heat conservation, Allen's Rule states that mammals in colder climates tend to have shorter appendages than animals in warmer ones. The lengths of the distal segments, the hands, forearms, feet and shins, are shorter in human populations that live in colder environments at higher latitudes, like the Inuit (Eskimo) of the Arctic, compared to those populations who live in hot regions near the equator, like Nilotic peoples of Sudan, whose bodies are built to dissipate heat. With the appearance of H. erectus in the early Pleistocene the increase in hominin body size is accompanied by linearity (i.e., lankiness) in body build to maintain the SA/V ratio appropriate for the hot, arid climate (Figure 5.2). The longer arms and legs and slender torso relative to body size allow greater cooling potential through sweating. The Nariokotome H. erectus boy was linear like present-day Nilotic populations, and maybe even more so. Benefits of the linear build are lost in humid, forested, closed environments. Small-bodied australopiths, like pygmy human populations, were probably able to inhabit humid, closed environments as well as open, arid environments but H. erectus probably preferred open, arid ones. Australopithecus garhi shows a mosaic of australopith and H. erectus limb proportions with its long arms and long legs, so it represents an intermediate form between the two groups. Neanderthals show just the opposite of the H. erectus body build. They had an extreme adaptation to cold temperatures, even compared to the most cold-adapted humans. With their relatively short arms and legs and thick barrel-chested torsos they are classic examples of Bergman's and Allen's Rules. Male Neanderthals averaged about 5 feet 6 inches tall and 180 lbs and females were about 5 feet 1 inch tall and 160 lbs. Although their stature was shorter, their bodies were broader, thicker, sturdier, and more compact than ours. Although humans are taller and larger than many of our primate relatives, we are weak in comparison. Chimpanzees are on the order of four times stronger than humans and it is evident in their bones. 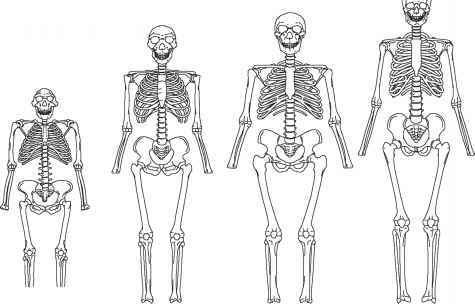 Figure 5.2 Skeletons of different hominins show their relative body sizes, bone thicknesses, and limb proportions. Bones of the hands and feet were omitted for simplicity and also because few were preserved with the (Nariokotome) H. erectus skeleton. Illustration by Jeff Dixon. The skeletal infrastructure of a strong body is different from that of a weak one. Bones that anchor strong and big muscles show larger muscle attachment sites, are thicker and heavier, may have some curvature to them to resist forces better, and also have bony buttressing and struts inside them which are visible by x-ray. Bones are constantly remodeling in response to the forces generated during physical activities (a principle known as "Wolff's Law"), which is why exercise is required to strengthen bones in order to avoid harmful levels of bone loss later in life. Osteoblasts are progenitor cells that form bone and osteoclasts are their resorbing counterparts. The thick outer layer of bone (cortical bone) reacts to stress by laying down more bone where it experiences forces, and resorbing bone where it is not under stress. For example, the humerus in the racket-wielding arm of elite tennis players, especially those who started playing as children, is much thicker than the other arm. Underused bones will resorb and atrophy instead of remodel with new bone like a healthy bone. Astronauts' bones are severely traumatized after spending lengths of time in zero gravity aboard the space station and scientists are inventing comfortable ways to tether the astronauts to the treadmill to add forces to their bones while they exercise. Strength indicators from bones can also be tracked in the hominin fossil record and it is clear that fossil hominins were much stronger and more active than modern humans. Especially by H. erectus times, when body sizes and proportions were similar to ours, it is apparent that bones were much thicker and muscle attachments sites were much bigger as well. Neanderthals are an extreme example of skeletal strength with their thick heavy and sometimes curved long bones. But even before some modern human populations became sedentary with agriculture, their bodies were relatively weaker than those of previous hominins. Cultural innovations probably compensated for the need for H. sapiens to maintain physical strength.